bliver bragt substans ind i historierne, som vha. — ikke mindst på mobilen. 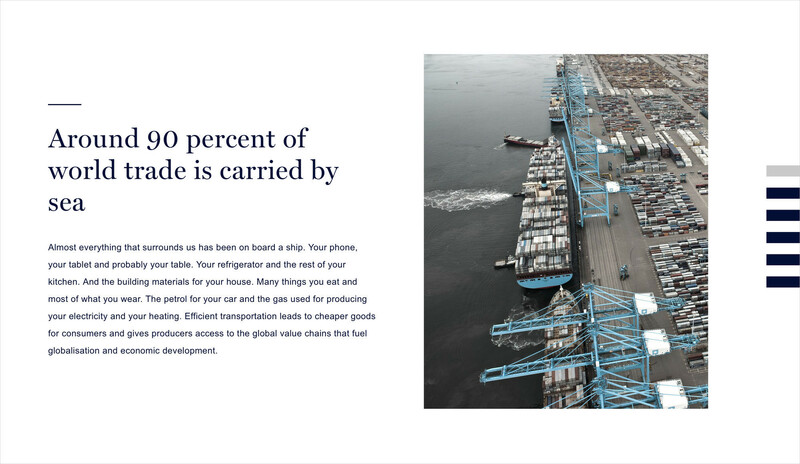 The Danish Shipowners’ Association is Denmark’s leading shipping industry organisation, and is engaged in a number of important climate-aware initiatives. 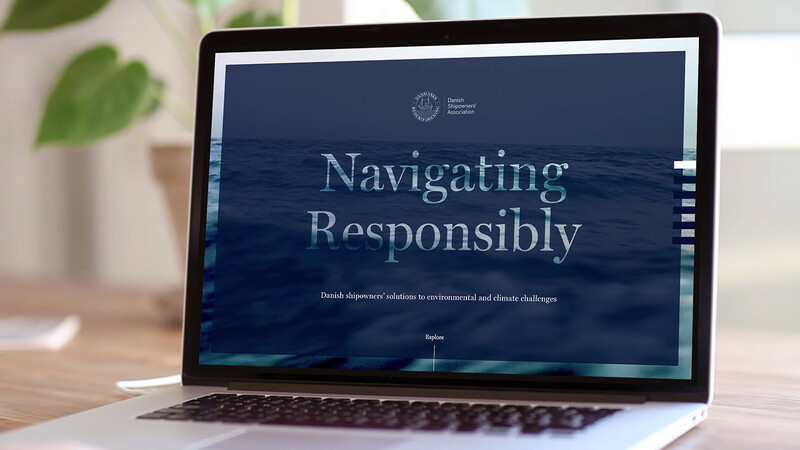 We were asked to create Navigating Responsibly, a new digital platform communicating these efforts. In order for the project to succeed, the website had to deliver a large amount of complex information to a broad audience. We boiled everything down, only serving bite-sized stories and relevant facts. The content was split into 4 main chapters, each containing several in-depth articles. The website is a clean single-page experience where captivating photography and video sets the scene for the climate-friendly endeavours. 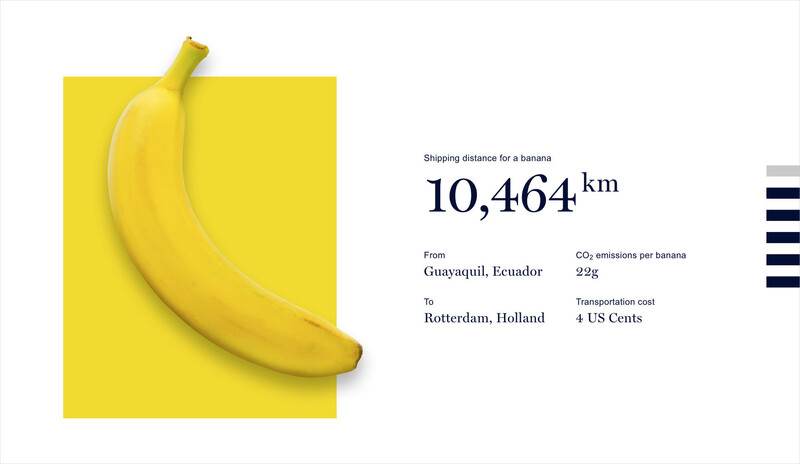 Smooth animations, elegant transitions and subtle hover effects all bring the user closer to the message. 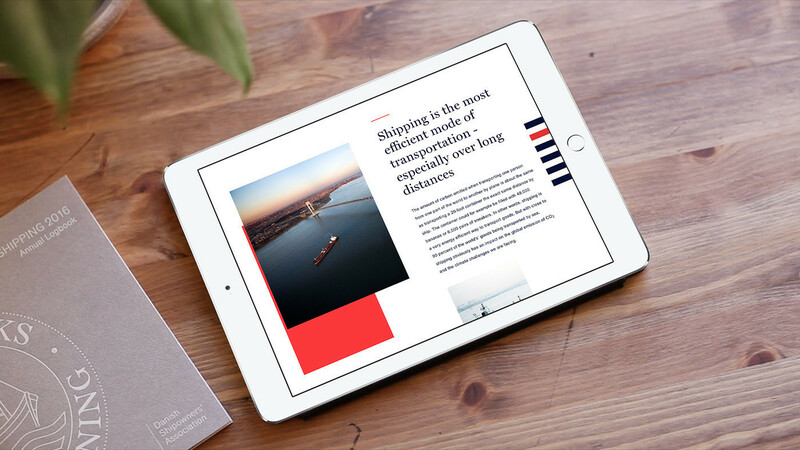 Users reading in-depth articles will stay on the site as the content effortlessly slides in as an integrated part of the navigation. Interactive infographics allow the user to engage with content on their own. In the days following its launch, Navigating Responsibly was visited by more than 50,000 people.